Valentine’s Day, Easter, 4th of July, Thanksgiving, Christmas. When most of us see the word holiday, we tend to think of one of these. And all of those can inspire your Poetry Teatime. But you may want to consider some of the lesser-know holidays, too. For example did you know that January 9th is Word Nerd Day? Or that March 6th is Make Up Your Own Holiday Day? 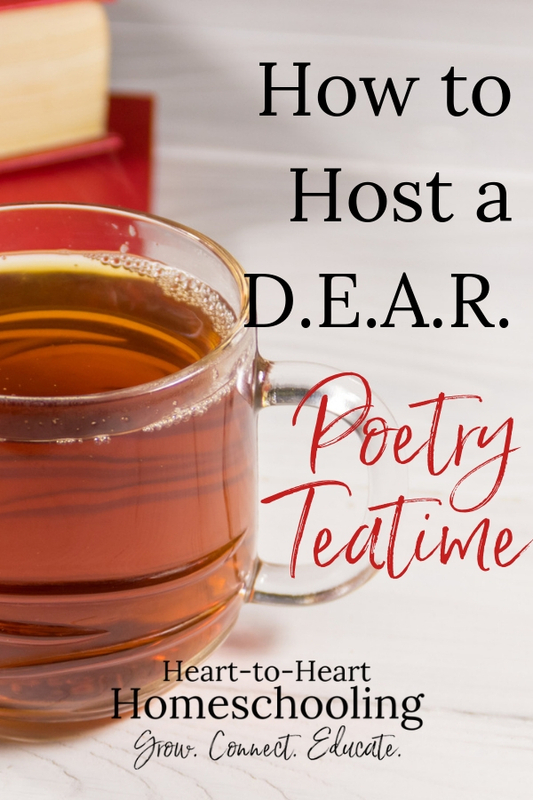 How fun to let the whimsical (and sometimes slightly crazy) list of days at Days of the Year and Timedanddate.com inspire your Poetry Teatime. To get your creative juices flowing, let’s look at one of my favorites. April 12th is Drop Everything and Read Day 💛 Although D.E.A.R. is celebrated the entire month, April 12th is Beverly Cleary’s birthday. She wrote about D.E.A.R. in Ramona Quimby, Age 8! So during your teatime, do the obvious! Drop everything and read. And it seems quite appropriate to start, not with a poem this time, but a chapter from one of Beverly Cleary’s books. We are homeschoolers, so it is OK to break the “rules” sometimes 😉 Don’t worry though…we’ll still incorporate some poetry activities. I still remember Ramona the Pest being one of my favorite childhood books. And recently I loaned it to a friend’s daughter and it had the same effect on her. There is something timeless about Cleary’s depiction of Ramona’s kindergarten year. Both of my sons loved Ramona’s adventures, too. But their favorite was probably the Ralph Mouse series. What’s not to love about a mouse who can ride a motorcycle? Let Ramona inspire you with applesauce and Fig Newtons. If you’ve read about Ramona, you’ll understand 😉 Simply Recipes has a recipe for a homemade version of applesauce. Or if you have an Instant Pot, check out this one from Tastes Better from Scratch. 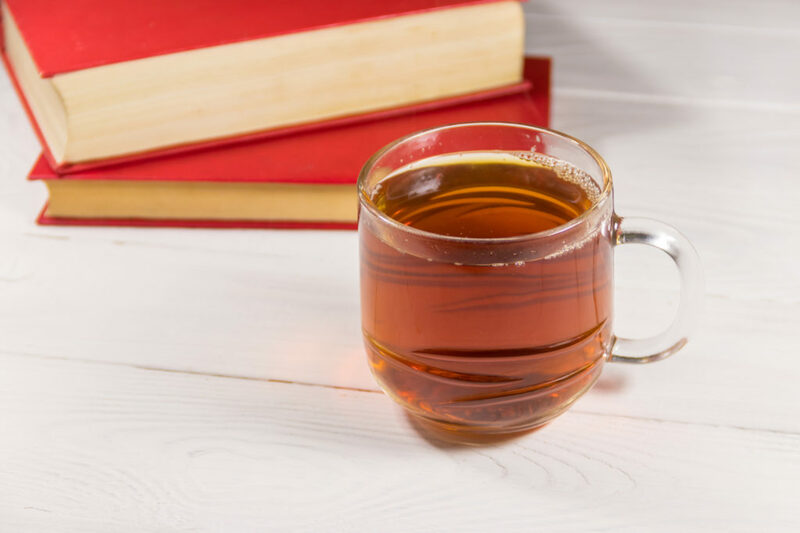 For you tea selection consider Stash’s Cinnamon Apple Chamomile Tea or Maple Apple Cider Herbal Tea. Share more about the Ramona books: Facts About Beverly Cleary’s Ramona Books from Mental Floss. Read a scene from one of Cleary’s books, then have your kids write a poem based on it. Ask your children to write a poem about a character from one of Beverly Cleary’s books. In Ramona the Pest, Ramona can’t seem to stop from pulling on Susan’s curls and saying “Boing”. Try one of these 6 Tips for Using Onomatopoeia in a Poem from powerpoetry.org. Yes, one of the points of having poetry teatime is to foster a love of poetry. But there is so much more to it than that! Developing relationship through sitting together, slowing down, and appreciating the beauty of language is also key. And a few laughs are a perfect way to build your family relationships. So go ahead, get one of Cleary’s books or choose another one. Then drop everything, make some tea, and READ.